Washington (CNN) - A majority of Americans say they would never support Sarah Palin or Donald Trump for president, according to a new national poll. A Quinnipiac University survey released Wednesday indicates that 58 percent of the public says they would never vote for the former Alaska governor and 2008 Republican vice presidential nominee, with an equal amount saying the same thing about the billionaire businessman, real estate mogul, and reality TV star. Fifteen percent of people questioned say they are enthusiastic about Palin as a candidate and around one in four say they would consider voting for her for president. According to the poll, nine percent say they are enthusiastic about Trump as a candidate, with about a quarter saying they would consider voting for him for president. Palin has not made any major moves towards running for the GOP presidential nomination, but says she's not ruling anything out. Trump says he'll announce by June whether he'll run for the White House. At the opposite end of the poll are two Republicans who ran for their party's nomination in the last presidential election: Mitt Romney and Mike Huckabee. Fifty-three percent say they are enthusiastic or would consider voting for Romney, with just over one in four saying they would never support the former Massachusetts governor for president. Romney has formed a presidential exploratory committee and is expected to formally declare his candidacy later this year. According to the survey, 47 percent say they are enthusiastic or would consider voting for Huckabee, with 32 percent saying they would never vote for the former Arkansas governor for the White House. Huckabee has not, to date, made many public moves towards launching a campaign, but his advisers push back anytime it's suggested that he won't run for president. "It is difficult to get a handle on the 2012 Republican race. Many contenders are not well known and many who are known are not liked, making their candidacies problematic. You could call this the 'No Way' measure," says Peter A. Brown, assistant director of the Quinnipiac University Polling Institute. "Mitt Romney and Mike Huckabee are in the best shape. Sarah Palin and Donald Trump suffer from the reality that, as our mothers told us, 'You never get a second chance to make a first impression.' "
Forty-two percent say they would never consider voting for Newt Gingrich with 38 percent saying they are enthusiastic or would consider supporting the former House speaker for president. Thirty-five percent say they are enthusiastic or would consider voting for Rep. Ron Paul, with one in four saying they would never vote for the congressman from Texas and former White House candidate. Twenty-seven percent say they are enthusiastic or would consider voting for Rep. Michele Bachmann, with 29 percent saying they would never support the congresswoman from Minnesota. In the battle for the GOP nomination, the poll indicates that 18 percent of Republicans and independent voters leaning Republican say they prefer Romney, with Huckabee and Palin at 15 percent each and Trump at 12 percent. Indiana Gov. Mitch Daniels, Gingrich, Paul have five percent each. The Quinnipiac University poll was conducted April 26-May 1, with 1,408 registered voters questioned by telephone. The survey's overall sampling error is plus or minus 2.6 percentage points. I'm glad I can still trust CNN to blast Sarah. It should really give her a boost. Romney is a Washington "club" member and not conservative: Huckabee is no conservative. Do you like transparency? I wouldn't even know about this if Sarah had not posted it on her news site. Sarah is real. In 'GLADIATOR', when offered to be Protector of Rome by Marcus Aurelius following his death, his top general declines to which Aurelius says "That is why it must be you." Sarah does not seek the presidency, she only seeks to serve this wonderful Nation. I'm glad that only 15% of the population in this country is that dumb! They are both a joke – – a bad, unfunny joke – – I can agree with some true conservative viewpoints on some topics – - but these 2 have nothing to say or offer – at all. That's becaue most of the people in the country have a brain and the ability to understand issues. The rest will vote for Trump or Palin. Guys, maybe Trump is what this country needs. Somebody who obviously can turn the economy around. Take a read of his book The America we deserve. He actually does have a political head on his shoulders. I for one would vote for Trump, because I believe a business man is what this country needs. Not another lawyer who is scum. Yes! Let's can failin' Palin and trump Trump!! Only a moron would vote for these idiots. We still have 18 months until the election and, unfortunately, people have VERY short memories. Look at how a lot of them have already forgotten what GWB did to this country. All Palin or Trump has to do is pull some stunt that puts them in the limelight in 2012 and there will be a certain amount of idiots thinking that they are the saviors of the universe. People have to wake up and truely see these idiots for what they are and then, remember that. I have to admit though, I am encouraged though because SOME people are starting to wake up. Hopefully thay won't go back to sleep before 2012. Palin and Trump both dug their own Political Graves. Sarah Palin wouild make a great President. The polls today mean nothing. A year before the election Carter had a 22% lead in the Presidential race against Reagan, and we all know how that turned out. I will not vote for anyone that isn't as smart as me (Palin) or who has any kind of TV show, ahem, nearly all of them – Palin, Trump (faux-Republican) or Huckabee. After reading her comments criticzing the events of Osama's killing I think she is completely unqualified to be in the WHite House, unless she takes a tour. She is far too poloarizing and lacks the intelligence to hold that office. It's refreshing to see so many people have now soured on her. She has no qualifications and the fact that she quit on her office as governor supports her inability to handle tough situations. She really needs to just simply fade away. I wonder if Trump has ever seen his profile and how his hair looks from the side? Can one imagine this man holding the highest office in the country? Americans would have to look at his do every day. 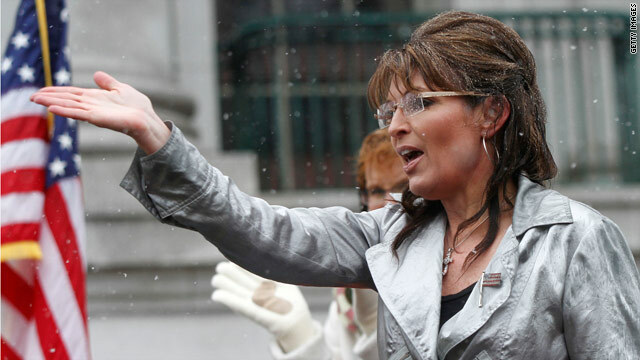 Sarah Palin would defeat Barack Obama and that is a fact. Any Republican will defeat Barack Obama as our Economy in going down the toilet. Help in on the way in 2013. Palin,Trump think far too much of themselves to believe that "Real Americans" will not vote for them. They will hang around being Republican party mouthpieces for the talking points and outright lies. These two are comic gold, I say stick around. It took yet another poll to tell us this? What, you think people in this country are that stupid? Well, OK some are, but most of us already new what this poll tells us. Enough with the damn polls until we have official candidates running. 58% wouldn't vote for Palin or Trump........That's a good start. The other 42%, however, means there are still many clueless voters out there. I always knew that the American people (both republicans and democrats) were too smart to vote for Half Gov. Palin and Comb Over Trump. It makes me proud!